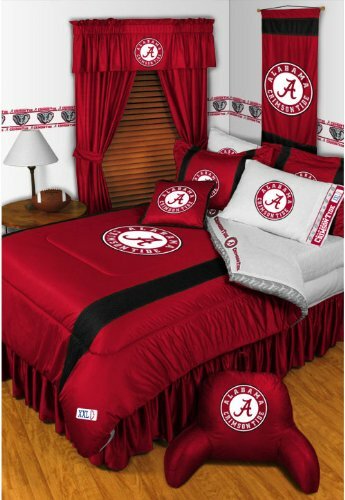 NCAA Alabama Crimson Tide full/queen comforter, 86 x 86 inches, full size flat and fitted sheets, and two standard pillowcases. Comforter is high quality polyester jersey. Sheets and pillowcases are white microfiber.